Do you remember Brandon Hunter? 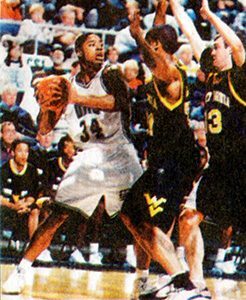 Brandon Hunter graduated in 1999 and was inducted into the Hall of Fame in 2017. 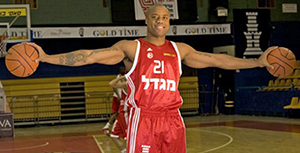 Brandon Hunter won letters in Basketball in 1998 and 1999. He was a powerful inside force on the 1998 State Final Four team. 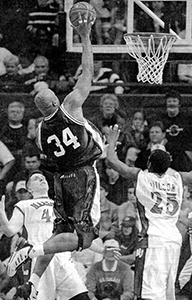 He received a scholarship to Ohio University, where he scored over 2,000 points and grabbed over 1,000 rebounds. Brandon led the nation in double-doubles his senior year, and his 1,103 career rebounds is still a school record. 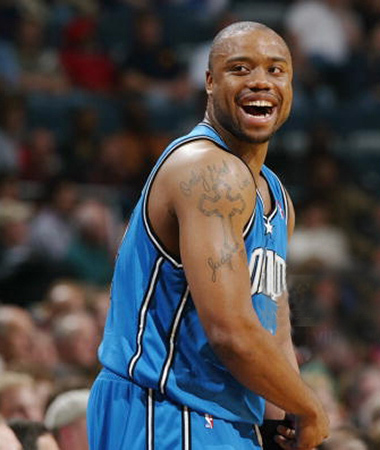 Brandon was drafted in the NBA 2nd round by the Boston Celtics and played with several U.S. and International teams during his 10 year professional career.